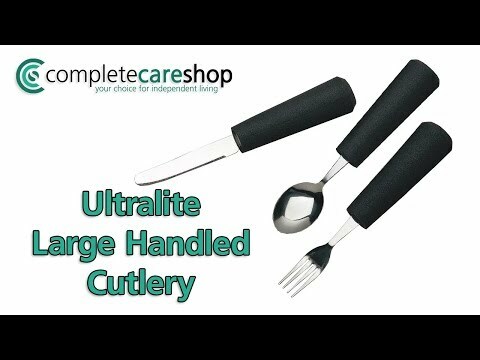 The Ultralite Large Handled Fork is part of the excellent Ultralite range of cutlery which offers the user a comprehensive range of easy to grip, very lightweight, foam handled cutlery. Ideal for those suffering from arthritic conditions or users with a weak or painful grip, the easy to grip, chunky, foam handles make it easier for the user to maintain control. This larger handled version of the Ultralite Fork has a handle that is 1.5" in diameter and 5" long making it ideal for most adults, a smaller version of the fork is also available with a handle that is 1" in diameter and 4" long making it better suited for adults with smaller hands or children. To see all the cutlery available in the Ultralite range please click on the "View All Similar Items" link further down this page.